A BOOK by a married couple from Ayrshire in Scotland has been selected as a set text by a top American university. Phoenix in a Bottle by Lilian and Murdoch MacDonald will now be required reading for all doctoral students in a psychology programme at Alliant International University in San Diego, California. The book tells the story of Lilian and Murdoch’s desperate fight against and recovery from alcoholism. 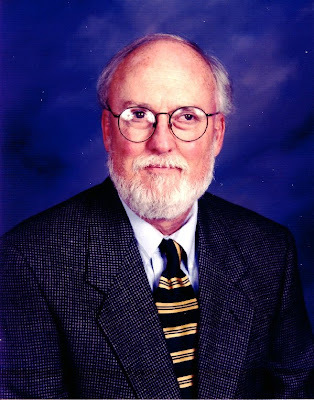 Dr. Gary W. Lawson (pictured above) is Professor of Psychology at CSPP. He says: “I adopted Phoenix in a Bottle because the dilemma this couple struggled with and the questions they ask themselves are like so many others I have encountered in 35 years of clinical experience treating addictions. Since it was published in 2005, Phoenix in a Bottle has been listed on Amazon UK, but this month it was also listed for the first time on Amazon.com, hopefully giving an extra boost to future international sales of the book. 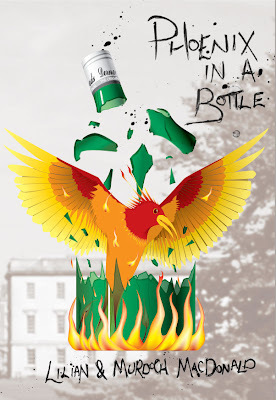 Phoenix in a Bottle is published by Melrose Books price £16.99. In 1994 as a result of their alcoholism, Lilian and Murdoch MacDonald were down and out, sleeping rough in the streets and parks of Cambridge, the English university town where, a quarter of a century before, Murdoch had attained an honours degree. Having identified and addressed their issues from the past, the couple are today back home in Ayrshire, Scotland, leading normal lives again, with their problems of alcoholism and Lilian’s associated eating disorder well and truly behind them. Described as a modern day Days of Wine and Roses, Lilian and Murdoch’s book Phoenix in a Bottle is the inspiring story of their journey. Dr. Lawson, a Professor of Psychology at the California School of Professional Psychology at Alliant International University in San Diego, teaches in the PsyD doctoral programme in clinical psychology. He has been teaching, conducting research and publishing articles and books in the addictions field since 1971. He has conducted training in addictions all across the United States and worldwide. He and his wife Dr Ann W Lawson, a Professor and Director of Clinical Training in the Marriage and Family Therapy programme at Alliant, were co-founding editors of the journal Family Dynamics of Addictions Quarterly and between them they have written 10 books on addictions and related topics. They are currently working on a fourth edition of their book Essentials of Chemical Dependency Counselling and a third edition of their book Alcoholism and the Family: A Guide to Treatment and Prevention. They just completed work on a 2nd edition of their edited book Alcoholism and Substance Abuse in Diverse Populations which should be available this summer through ProEd publishers in Austin, Texas. Alliant International University offers a unique curriculum that combines academics and apprenticeship in all courses of study. With accredited programs at San Francisco, Sacramento, Fresno, Los Angeles, Irvine and San Diego, California, Alliant also hosts accredited programs in Mexico City, Mexico and Tokyo, Japan.